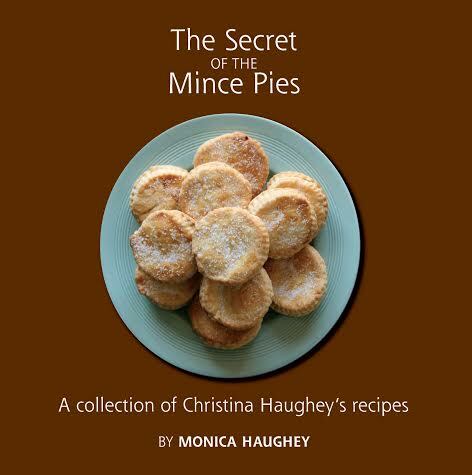 Author Monica Haughey today announced a reprint of successful baking book ‘The Secret of the Mince Pies’, in which she has gathered together the favourite recipes of her late mother, Christina Haughey. From festive mince pies to fruity muffins and classic almond slices, Haughey compiled the simple, wholesome recipes from the memories, handwritten notes and scribbles of her mother, a renowned baker and cook. Originally published in 2010, the book also provides detailed notes and tips on how to perfect the art of baking. Haughey is also behind the recently launched Good Food Initiative, based in Ranelagh, Dublin. The organization aims to encourage people to learn more about sourcing and preparing food, and to develop their own expertise around its role in maintaining good health. Haughey is currently working on her second culinary book, entitled ‘The Secrets to Great Italian Cooking’ which will be published in early 2015. Both books are part of the Good Food Initiative brand. Please visit www.goodfoodinitiative.ie for more information. 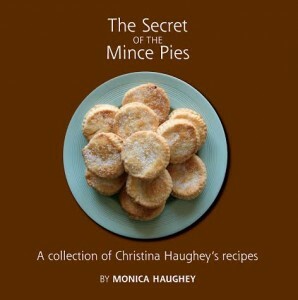 ‘The Secret of the Mince Pies’ has a recommended retail price of €12.99 and is available to purchase online at www.goodfoodinitiative.ie. Please visit the website for details on special introductory offers. Monica Haughey, is a psychotherapist, mother, author, speaker and slow food enthusiast. She is an avid food blogger and also hosts cookery classes as part of the Good Food Initiative. She is a firm believer in health in the broadest sense and that good mental, physical and emotional health is linked to many things, including what we eat and how we eat. Monica lives in Dublin but keeps a close connection to her native Creggan. Her first book Out of the Embers, a history of Creggan through its people, was published in 1987 in conjunction with Creggan Community Association. The Secret of the Mince Pies could also be seen as a history of Creggan – an edible history and story that revolves around good food, steaming kettles and kitchen chatter.